Line a plate with a paper towel and put the sausage on top. Microwave the sausage on high power until hot, about 2 minutes. Grease a coffee mug with cooking spray. In the coffee mug, beat the egg with a pinch of salt. Cover the mug with plastic wrap and microwave on high for about 45 seconds, until the egg is fluffy and just cooked through. 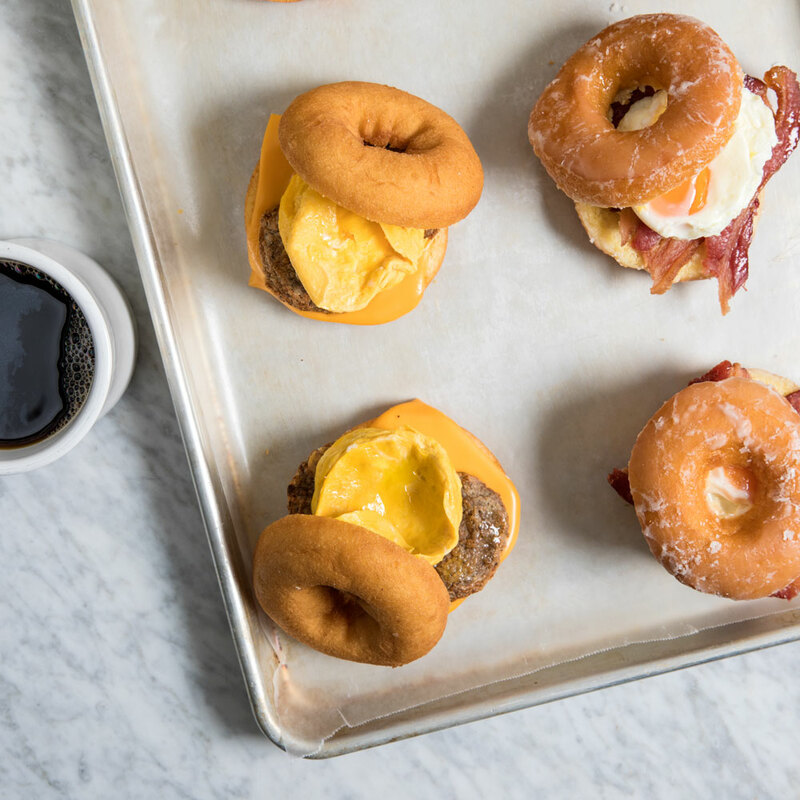 Place the sausage, cheese and egg on the bottom half of the doughnut. Close the sandwich and serve immediately. Review Body: Sugar &amp; Salt combination right here!